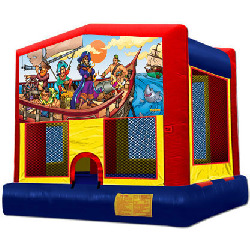 Moonwalks and bounce house rentals mean more fun!!! 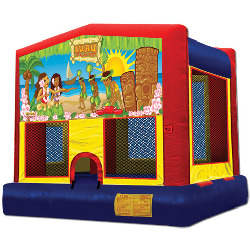 Have you ever noticed that at every event, the longest line is always the moonwalk and bounce house rentals! I guess there is just something exciting and exhilarating about bouncing to your hearts content. Moonwalk and Bounce house rentals are a must have for any event. They are great for all ages and are a way to keep your guests entertained for hours. 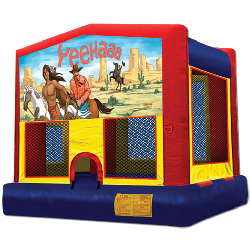 Want to make moonwalk and bounce house rentals even more fun, consider a themed inflatable. 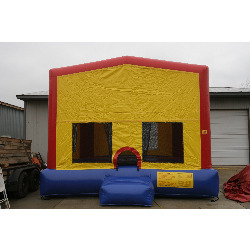 Imagine how your child will feel when they see their Superman or Tinker Bell bounce house. What about Sponge Bob Square Pants, Toy Story, Winnie the Pooh, oh yes, we have those and so much more! 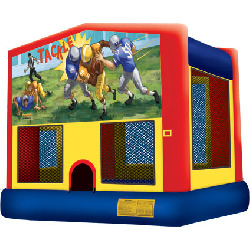 If you are having an event and need party rentals, we have what you need. Also check out our table rentals, tent rentals, concessions and rides. Not able to pick up, no problem, we offer delivery options. 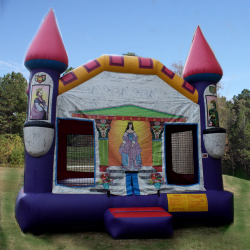 Deborah’s Party Rentals serves Birmingham, Hoover, Vestavia, Mountain Brook, Gardendale, Cullman, Jasper and surrounding areas. We are one of the largest special event companies in Alabama and proudly offer a large assortment of entertainment for all age groups. Call us today at (205)631-2670 | 1-800-651-2670 and you’ll discover that no budget is so small and no function is so big that we cannot help you make your event a success.